The Longest Date takes 16 diverse, interesting but unlucky-in-love singles and matches them into couples. 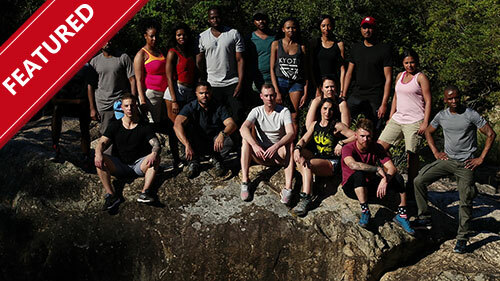 The eight new couples then embark on a journey to experience the most extreme adventures Mpumalanga has to offer, all the while trying to make a love match. The Longest Date revels in extreme adventure, but also from couples finding love in the most unexpected locations. After an exhilarating diamond anniversary in New York City, the 61st Annual GRAMMY Awards return to Los Angeles and broadcast live from the Staples Center. Alicia Keys hosts the ceremony this year, which sees the nominations lists topped by Kendrick Lamar, Drake, Boi-1da and Brandi Carlile. Performers include Cardi B, Miley Cyrus, Ricky Martin, Janelle Monáe, Kacey Musgraves, Lady Gaga, Dolly Parton, Diana Ross, Shawn Mendes and Jennifer Lopez. Homeowners call on the experts for help when their large-scale renovation project becomes an insurmountable challenge. Architectural designer Charlie Luxton and property developer Sophie Morgan come to their aid and formulate a game plan to help them finish their renovation. They show them the dos and don'ts of huge renovation projects and provide guidance to rescue their reno. In the process, they also ensure that they add value to their property by making smart structural and design decisions. A Top 20 music chart show based on the SA Top 20 on RSG, featuring music industry and behind-the-scenes news and retro stories. Originally hosted by Derrick Gardner, it is now hosted by singer and songwriter Lee Scott. 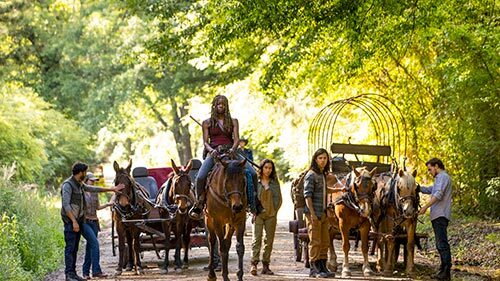 As Season 9 returns from hiatus, we find the survivors a year and a half after the end of the war, rebuilding civilization under Rick's steadfast leadership. It is a time of relative peace among the communities as they work together, looking to the past to forge the future, but the world they knew is rapidly changing as man-made structures continue to degrade, and nature takes over, changing the landscape and creating new challenges for our survivors. In the first episode back, the communities thought they could build a better future separately, but the recent loss of one of their own drives them to band together. New leaders rise when a disturbing and dangerous threat is unmasked. An escaped captive revisits his past. This season takes you to Spain's Costa del Sol and follows the Hill Gang on the lam in another thrill-a-minute fight to save their fortune, and their lives. This season, true to form, it's not long after settling in the fictional coastal town of San Toledo that the Hills run afoul of the local kingpin and find themselves pressed into the malevolent crime boss' service. Just surviving will take every ounce of skill and daring our heroes have but outsmarting their enemies and taking over the town for their own is something only the Hills are savvy and crazy enough to pull off.